My girl has been in love with this horse for over two years. Apollo is a majestic horse indeed, but he's a gentle giant. He always comes over to the fence for pets and loves to nibble on my girls shoes =). Naturally I take a lot of pictures of him, he's so handsome, how could I not? This week I saw that Ree Drummond aka Pioneer Woman was running a photo contest and the theme was horses. I love entering her photo contests, but never have high hopes of being chosen... after all thousands of people enter! She posts her favorite images on her blog... and low and behold, my picture of Apollo made it! You can see it here =). 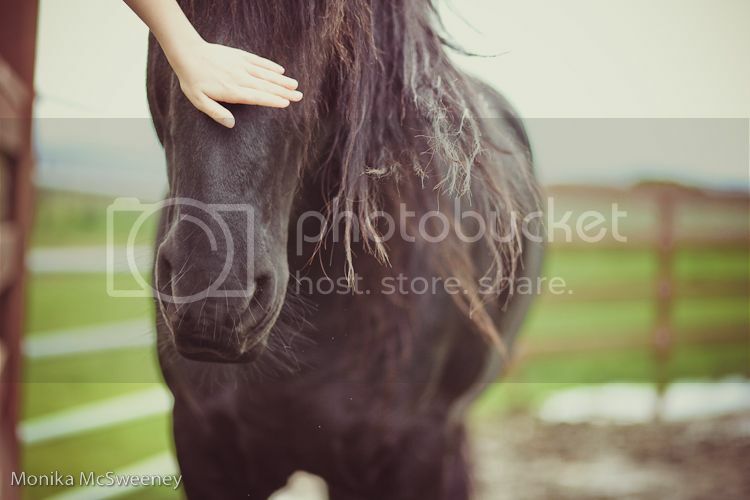 There's a lot of amazing horse images showcased and I'm mighty excited to be among them. Congrats - I saw your photo made the finalists. It's such an amazing picture that I had to check out who took it. Apollo is magnificent and I really hope your picture wins. I would love to have this on my wall at home!